Applied Behavior Analysis (ABA) guides the education programs and behavior interventions of Learners' Compass. ABA is the science of applying experimentally based principles to improve socially significant behavior. Behaviors are defined in observable and measurable terms, and data-driven methods demonstrate accountability. Analyses of behavior in relation to the environmental factors lead to functional and effective interventions. Through purposeful repetition and reinforcement of individualized goals, ABA works at the neurological level to create new neural pathways for appropriate communication, play, and social interaction. Due to the spectrum nature of autism goals, the number of repetitions and motivators are highly individualized. According to the Mental Health report by the US Surgeon General, 30 years of empirical research have demonstrated the efficacy of applied behavioral methods. Over 500 articles have been published, from 1985 to 2007, that demonstrate the effectiveness of Applied Behavior Analysis (ABA) in the treatment of autism. Skills are broken down into small steps—how small depends on the learner’s needs. Skills are taught through repetition. Each response is reinforced or corrected until components of each concept are learned. Methods used are scientific and literature based. All decisions are data driven. Literature-based methods for teaching are adapted to meet individual student’s needs. An assessment tool to identify skill deficits and behavior excesses. A design for the treatment of behaviors. A design for individualized curriculum. ... with the child's functioning and learning. Intensive, sustained special education programs and behavior therapy early in life can increase the ability of the child with autism to acquire language and ability to learn. Special education programs in highly structured environments appear to help the child acquire self-care, social, and job skills. Only in the past decade have studies shown positive outcomes for very young children with autism. Given the severity of the impairment, high intensity of service needs, and costs (both human and financial), there has been an ongoing search for effective treatment." "Thirty years of research demonstrated the efficacy of applied behavioral methods in reducing inappropriate behavior and in increasing communication, learning, and appropriate social behavior. A well-designed study of a psychosocial intervention was carried out by Lovaas and colleagues (Lovaas, 1987; McEachin et al., 1993). Nineteen children with autism were treated intensively with behavior therapy for 2 years and compared with two control groups. Follow-up of the experimental group in first grade, in late childhood, and in adolescence found that nearly half the experimental group but almost none of the children in the matched control group were able to participate in regular schooling. Up to this point, a number of other research groups have provided at least a partial replication of the Lovaas model (see Rogers, 1998)." ... of behavioral teaching techniques and intervention procedures"
"intensive direct instruction by the therapist, usually on a one-to-one basis"
"extensive parent training and support so that parents can provide additional hours of intervention"
Cohen, Howard, Amerine-Dickens, Mila, Smith, Tristram. (2006). Journal of Developmental & Behavioral Pediatrics, 27 (2), 145-155. In 2006, the 1987 Lovaas study was replicated, validating the original results. The results showed an increase in IQ, behavior, and skill acquisition; 29 percent were indistinguishable, and 52 percent mainstreamed with support. Intensive Behavioral Treatment at School for 4- to 7-Year-Old Children with Autism. Eikeseth, Svein, Smith, Tristram, & Eldevik, Erik Jahr Sigmund (2002). Behavior Modification, 26, 49-68. (pp. 323–335). Greer, R. D. (1994a). The measure of a teacher. In R. Gardner, D. M. Sainato, J. O. Cooper, T. E. Heron, W. L. Heward, J. Eshleman, & T. A. Grossi (Eds. ), Pacific Grove, CA: Brooks/Cole. The results of this study indicated that, for all learners, the number of goals and objectives met depended upon the teacher’s precise, accurate, and fast-paced application of applied behavior methodologies. A functional analysis of the Comprehensive Application of Behavior Analysis to Schooling. Greer, R.D, Selinski, J., & Lodhi, S. (1991). Journal of Applied Behavior Analysis, 24, 108-118. The results showed that implementing precise applied behavior analysis in schools was highly beneficial and led to improvement for students, families, and school personal. A total of 38 children were studied over 2 years, with a third year follow-up. The results showed a significant increase in the number of objectives taught as well as the number learned. A Comparison of Intensive Behavior Analysis and Eclectic Treatments for Young Children with Autism. Howard, Jane S., Sparkman, Coleen R., Cohen, Howard G., Green, Gina, & Stanislaw, Harold. (2005). Research in Developmental Disabilities, 26 (4), 359-383. The results demonstrated that intensive ABA treatments led to significantly greater improvements when compared to eclectic models. Significant improvements were demonstrated across all targeted skills for all learners. This was a replication of Eikeseth et al.’s (2002) study. Improving social skills and disruptive behavior in children with autism through self-management. Koegel, L. K., Koegel, R. L., Hurley, C., & Frea, W. D. (1992). Journal of Applied Behavior Analysis, 25, 341-353. The study showed that the tactic of self-management significantly improved appropriate social skills among learners. Lovaas, O. I. (1987). Journal of Consulting and Clinical Psychology, 55(1), pp. 3-9. This original research study regarding the effectiveness of Applied Behavior Analysis (ABA) in the treatment of children with autism found that 90 percent improved as a result of 40 hours per week of treatment. Nearly 50 percent were indistinguishable from typically developing peers after treatment. Case study: intensive behavioral intervention with a 7-year-old girl with autism. Lynch, S. (1998). Autism, 2 (2), pp. 181-197. The results of this study showed an increase in language with intensive behavior interventions for a seven-year-old girl. Case study: Deterioration, autism, and recovery in two siblings. Perry, R., Cohen, I., & DeCarlo, R. (1995). Journal of the American Academy of Child and Adolescent Psychiatry, 34 (2), pp. 232-237. This case study details the process of recovery from autism for Catherine Maurice’s two sons. Intensive Behavioral Treatment for Children with Autism: Four-Year Outcome and Predictors. Sallows, Glen O. & Graupner, Tamlynn D. (2005). American Journal on Mental Retardation, 110 (6), 417-438. In 2005, this study replicated the 1987 Lovaas study. The results showed improvement in all the children: "48% of the children showed rapid learning and were succeeding in regular education classrooms." Behavioral training for siblings of autistic children. Schreibman, L., O'Neill, R. E., & Koegel, R. L. (1983). Journal of Applied Behavior Analysis, 16, 129-138. This study showed that, when three siblings learned behavior techniques and applied them in natural settings, the behavior of their sibling with autism improved. The results also demonstrated that the sibling relationships improved as more successful and reinforcing interactions increased. Verbal Behavior Analysis: Inducing and Expanding New Verbal Capabilities in Children with Language Delays. Let Me Hear Your Voice: A Family's Triumph Over Autism. Maurice, C. (1993). New York: Knopf. To preview or purchase this book see: Let Me Hear Your Voice: A Family’s Triumph Over Autism. Maurice, C., Green, G., & Luce, S.C. (1996). Austin, TX: Pro-ed. To preview or purchase this book see: Behavioral Intervention for Young Children with Autism: A Manual for Parents and Professionals. Right From the Start: Behavioral Intervention for Young Children with Autism – A Guide for Parents and Professionals. Sandra Harris & Mary Jane Weiss (1998). To preview or purchase this book see: Right From the Start: Behavioral Intervention for Young Children with Autism – A Guide for Parents and Professionals. A Work in Progress: Behavior Management Strategies and a Curriculum Guide for Intensive Behavioral Treatment of Autism. To preview or purchase this book see: A Work in Progress: Behavior Management Strategies and a Curriculum Guide for Intensive Behavioral Treatment of Autism. Teaching Developmentally Disabled Children: The ME Book. Lovaas, O. I. (1981). Austin, TX: Pro-ed. To preview or purchase this book see: Teaching Developmentally Disabled Children: The ME Book. Making a Difference: Behavioral Intervention for Autism. Maurice, C., Green, G., & Foxx, R.M. (2001). Austin, TX: Pro-Ed. (discrete trial teaching – natural environment teaching) List: Go to http://groups.yahoo.com and for DTT-NET and subscribe to it. Go to http://groups.yahoo.com and look for Verbal Behavior mailing list and subscribe to it. Tutt R., Powell, S. and Thornton, M. (2006). Educational approaches in autism: what we know about what we do. Educational Psychology in Practice, 22(1), pp. 69-81. Sheinkopf, S. J. and Siegel, B. (1998). 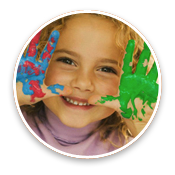 Home-based behavioral treatment of young children with autism. Journal of Autism and Developmental Disorders , 28(1), pp. 15-23. Mesibov, G. B. (1993). Treatment outcome is encouraging. American Journal on Mental Retardation, 97(4), pp. 379-380. Kazdin, A. E. (1993). Commentaries on McEachin, Smith and Lovaas. Replication and extension of behavioural treatment of autistic disorder. American Journal on Mental Retardation, 97(4), pp. 377 - 379. Humphrey N. and Parkinson G. (2006). Research on interventions for children and young people on the autistic spectrum: a critical perspective. Journal of Research in Special Educational Needs, 6(2), pp. 76-86. Huber, R. J. and Zivalich, D. M. (2004). Lovaas's behavioural treatment of autism viewed from an Adlerian perspective. Journal of Individual Psychology, 60(4), pp. 348-356. Connor, M. (2003). Monitoring and reviewing early behavioural intervention in autism (Lovaas). Educational Psychology in Practice, 19(1), pp. 21-33. McEachin, J. J., Smith, T. and Lovaas, O. I (1993). Long-term outcome for children with autism who received early intensive behavioral treatment. American Journal on Mental Retardation, 97(4), pp. 359-372. “Intervention for 3 years delivered between the ages of 2 to 6 years, would save approximately $200,000 per child for ages 3-22 years and up to $1,000,000 per child for ages 3-55 years. The savings per child even takes into account that some children will not benefit at all from behavioral treatment and some will only make modest gains.” Lovaas early intervention. Communication, 1999, Spring, pp. 25-28. Jacobson, John W., Mulick, James A., & Green, Gina. (1998). Cost-Benefit Estimates for Early Intensive Behavioral Intervention for Young Children with Autism-General Model and Single State Case. "Behavioral Interventions, 13, 201-226. Connor, M. (2001) Early intensive behavioural intervention in autism (Lovaas programmes): issues for planning, monitoring and annual review. Guildford: Surrey County Council Educational Psychology Service. Cohen, H., Amerine-Dickins M., and Smith, T. (2006). Early intensive behavioral treatment: replication of the UCLA model in a community setting. Journal of Developmental & Behavioral Pediatrics, 27(2S), S145-S155. NYSDOH Early Intervention Program (1999). Clinical practice guideline: Report of the recommendations. Autism/pervasive developmental disabilities. 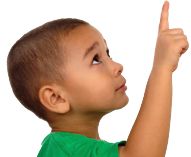 Assessment and intervention for young children (age 0-3 years). New York: NYSDOH. www.health.state.ny.us/community/infants_children/early_intervention/autism/. Sallows, G.O. and Graupner, T.D. Intensive behavioral treatment for children with autism: four-year outcome and predictors. American Journal on Mental Retardation, 2005, 110(6), pp. 417-438. Shea, V. (2004). A perspective on the research literature related to early intensive behavioural intervention (Lovaas) for young children with autism. Autism, 8(4), pp. 349-367. Simeonsson, R. J., Oley, J. G. and Rosenthal, S. L. Early intervention for children with autism. (1987). In: M.J. Guralnick and F.C. Bennet, eds. The effectiveness of early intervention for at risk and handicapped children. London: Academic Press, 0123079101.